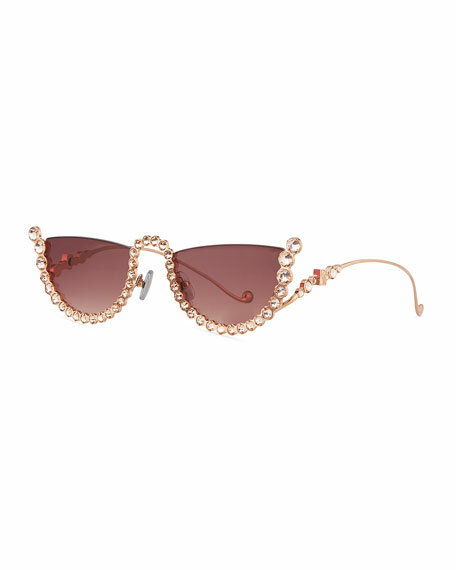 Fendi round sunglasses with wire rim detail for cat-eye effect. 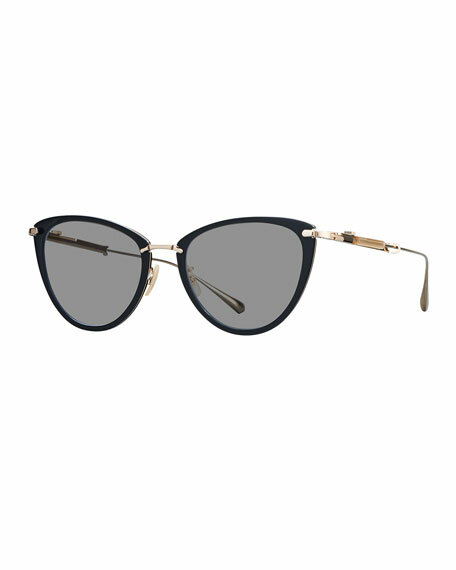 Metal and acetate frames. 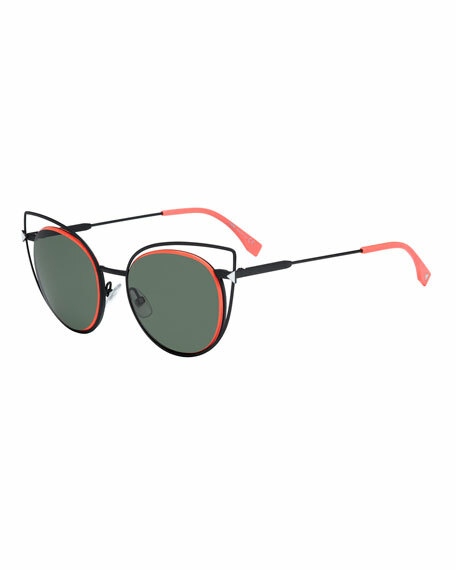 Round, metal-rimmed lenses. Cutout insets at frame front. Capped ear pieces. Silicone nosepieces for optimum fit. 100% UVA/UVB protection. Made in Italy. 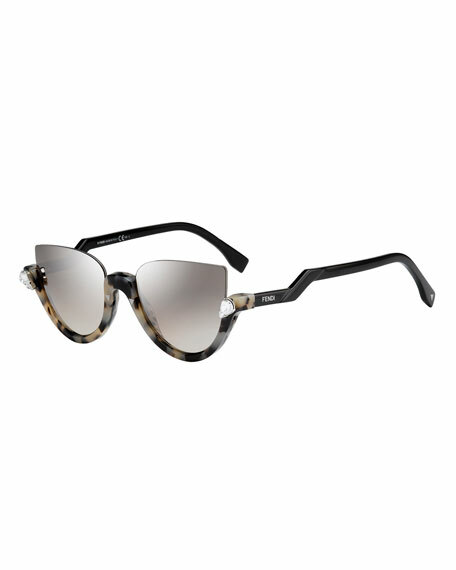 KREWE "Fern" cat-eye sunglasses in acetate with visible titanium elements. Lens/bridge/temple (in mm): 46-22-145. Solid-color lenses. Pins at frame front. Chevron metallic insets on arms. Can be fitted with prescription lenses. 100% UVA/UVB protection. Imported. 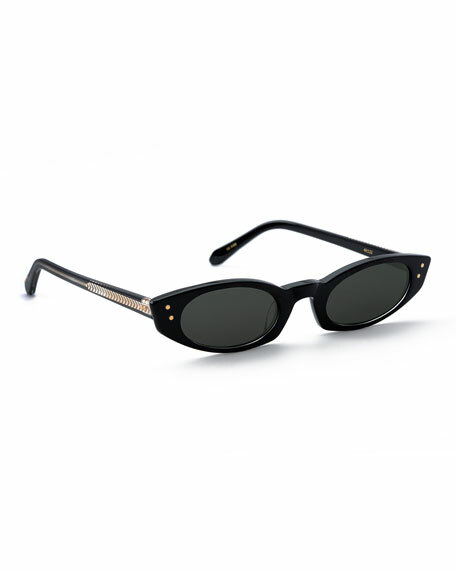 Mr. Leight cat-eye sunglasses in 12-karat white gold plated titanium. Lens/bridge/temple (in mm): 49-20-140. Featuring acetate insert and dcor. Gradient lenses. Adjustable nose pads. 100% UVA/UVB protection. Made in Japan.